We offer all of the cutting-edge technology in the Naturopathic Field that’s out there. Please take a look at our list of services below and you will see the range of services available to our clients. If you’re ready to take the next step, click on the box below that applies to you. We look forward to serving you! Consultations are available at our clinic or via phone to allow clients access to naturopathic consultation regardless of location…. FROM NOV 2017 TO MARCH 2018 OVER 500 SESSIONS THROUGH OUR PHOTON-GENIUS MACHINE (PGM) ~ INSIDE OUR PROPRIETARY DESIGNED PRIVATE WELLNESS ROOM! ADDITIONAL 300 SQ FT WITH NEW WELLNESS TECHNOLOGIES COMING TO OUR CURRENT PGM & PROPRIETARY WELLNESS ROOM IN 2019! 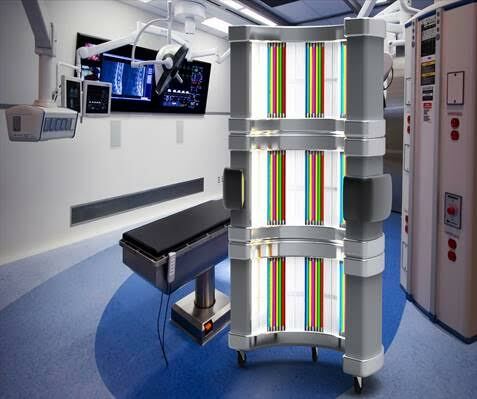 Using the Photon-Genius produces potent antioxidants, neurotransmitters and artery wall relaxers. The Photon- Genius helps regulate muscle tone of the arteries and prevents arteriosclerosis and is anti-inflammatory preventing injury to vessel walls and normalizing blood pressure in the process. Using the Photon-Genius produces powerful brain cell protectors, neurotransmitters, memory and learning enhancers. The Photon-Genius transmits, imprints, and reminds the human body at the cellular level of the essential creative process of perpetual enlivening energy that results in more natural and empowered regenerative processes throughout the body. The Photon-Genius is a wonderfully safe and easy-to-use dynamic means of achieving ever-accelerating levels of health, wellness and more efficient, natural regeneration and rejuvenation. The Photon-Genius technologies provide “noticeable” and “comprehensive” health benefits! Remove and clear pathogens, fungus, mold, bacteria, germs, etc. This information is for informational and educational purposes only and is not intended to replace or substitute the advice and/or services of a physician or other health care professional. It is not our intention to prescribe or make specific health claims for any of our technologies or products. There are as many different definitions of health as there are individuals. For my purposes here, I am going to define health as “enjoying a state of wellness.” I also am going to add to that, as an avid practitioner and advocate of Naturopathy, I believe that both nature and Naturopathic Interventions can nurture and facilitate the body’s innate healing capabilities. There is a time and place for all tested and approved interventions, so I would add at this time, if you’re dealing with an acute medical emergency, then your first line of defense or intervention should be to seek conventional medical care. And once that illness or emergency is addressed, then Naturopathic Health Care is a wonderful and very effective modality to nurture and facilitate your body’s internal healing systems. Your initial evaluation will include a very detailed intake interview as well as questionnaires, health history, lab work and then finally reviewing with you a very specific Naturopathic Intervention Program called a Personalized Plan of Care (POC). I would like to briefly describe 3 of the interventions that I use to start the healing processes and that I believe are fundamentals to improving your health! First is understanding that food is medicine, and that it can have incredible healing and beneficial results for you almost immediately! Food is also very specific to you and your needs, so this is where I start with all of my clients. The second intervention I address is Nutraceuticals, again looking specifically at what supplements will aid you in balancing your body and chemistry. Some clients need basic vitamins & minerals due to deficiencies or increased nutritional needs and herbs are used to facilitate healing as well as help with tissue repair. I also utilize Traditional Chinese Medicine (TCM), Homeopathy, proprietary formulas, whole foods, juicing and even house hold spices can be added to your Personalized POC. The third intervention is on physical level, this is where the client will need to come into the office for more hands on modalities such as: Frequency Specific Micro-current, Infarred Therapy or more traditional therapies like Ultra Sound, Interferential Stim (also known as Electrical Stimulation or Iontophoresis for pain conditions) also Myo fascial Release, Trigger Point Therapies, Acupressure and Reflexology. 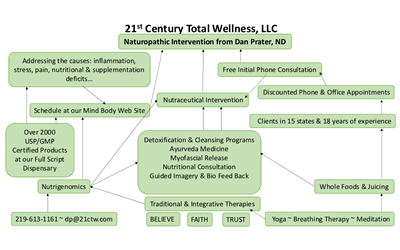 I have been working in this field of wellness for over 20 years, from traditional therapies to Sports Medicine, athletic training and for the past 15 years as a Naturopath in my Private Practice. I want you to know my first priority is to aid in your healing and specific to Naturopaths I believe deeply in the approach of: First Do No Harm! Thank you again for the opportunity to partner with you in Naturopathy and I look forward to our first conversation together. Contact us via email or by phone on 219.613.1161 to learn how we can work together to achieve optimum health a reality for you! The following is a complete list (in alphabetical order) of the battery of tests we can do, if needed, to narrow in on the best way to assist you on your path to optimum wellness. Current discounted price on these labs. 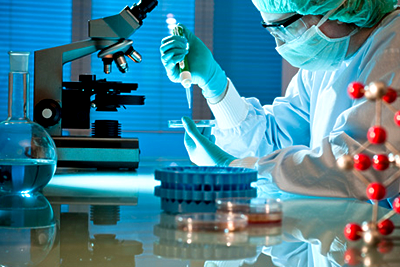 Free consultation on which labs we recommend. The lab(s) you are requesting. Your script will email to you with complete instructions and lab locations. If you have any questions please contact us. Methylation is one of your body’s most important and common chemical processes, taking place more than a billion times per second. Both MTHFR and COMT are powerful methylation genes and play a role in detoxification, mood regulation, keeping estrogen in balance, cardiovascular health, immune function and more! When mutations are present in key places they can undermine the task of methylation and create a toxic recipe for all types of disorders from heart disease to hormone-related cancers to anxiety and fatigue. Those with a genetic mutation in MTHFR will have varying levels of difficulty creating the active form of folic acid which is the important form the body needs to function properly. No service or information available from 21st Century Total Wellness, LLC should be misconstrued as medical advice prescribing, diagnosing or intervention for any medical condition. All information available from our website, brochures, and other collateral material are offered as educational material for your review. Bio-impedance body composition analysis (BIA) measures body composition electronically. Body composition analysis is the clinical assessment of tissue and fluid compartments in the human body. 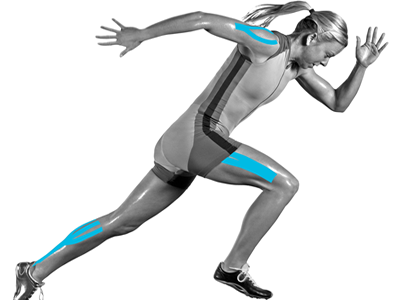 Body bioimpedance analysis is used in preventative, diagnostic, and therapeutic applications. A normal distribution of tissue and fl uid in the body is associated with immunity, high function, and longevity. An abnormal distribution of tissue and fluid in the body is associated with susceptibility, low function, and the effects of disease and aging. Our body is bioelectric and the Body bioimpedance analysis measures our vitality at a cellular level. Phase angle is an indicator of cellular health and integrity. Research on humans has shown that the relationship between phase angle and cellular health is increasing and nearly linear. A low phase angle is consistent with an inability of cells to store energy and an indication of breakdown in the selective permeability of cellular membranes. Cell membranes have a high lipid content therefore this reading gives an indication of your cell lipid status. A high phase angle is consistent with large quantities of intact, healthy cell membranes and body cell mass. Phase angles for adults range from 3 – 10 degrees, with normal values of 6 to 8 degrees. A phase angle of 5′ or lower can indicate a serious energy deficiency. A phase angle higher than 8′ is excellent. Body capacitance is the absolute amount of energy storage of the body due to intact cellular membranes. A high capacitance indicates that your body stores energy effectively. A low capacitance would suggest that your cells are having trouble storing energy. Normal values are between 500 to 1000 pF. Resistance is the ratio of electrical potential to the current in a material. A material with low resistance conducts well whilst a material with high resistance conducts poorly. The primary conductor in the human body is water. In the human body, a low resistance is associated with large amounts of lean body mass. A high resistance is associated with smaller or low amounts of lean body mass. Resistance helps to calculate the amount of water in the body. Low resistance, indicating high conductivity, is due to large amounts of water in the body. Resistance in the body is proportional to the amount of lean body mass since water is contained solely within lean body mass. Reactance is a measure of the cells’ ability to store energy. A body that stores energy easily has high reactance and a body that stores energy poorly has low reactance. Energy is stored in the cell membrane therefore this reading gives an indication of the amount of intact cell membranes in the body. Since intact cellular membranes are contained primarily within body cell mass, the reactance of the body is proportional to the amount of body cell mass. The reactance helps to calculate the proportion of the body that is metabolically active. BCM contains all the metabolically active tissues (living cells) of the body, including muscle cells, organ cells, blood cells and immune cells. BCM includes the “living” portion of fat cells but not the stored fat lipids and also includes the water inside living cells called intracellular water. The main electrolyte of intracellular water is potassium. ECM contains the metabolically inactive parts of the body components including bone minerals, and blood plasma. ECM also includes water contained outside living cells called extracellular water. The main electrolyte of extracellular water is sodium. Body Cell Mass and Extracellular Mass are used to calculate the ECM/BCM ratio (see below). This is the ratio of extracellular mass to body cell mass. A low value is desirable and indicates a high ratio of body cell (active) mass to extracellular (inactive) mass. Normal values are typically near 1.0, indicating a 50/50 distribution of body cell mass and extracellular mass. Fat-free mass, also referred to as lean body mass, is the total amount of nonfat (lean) parts of the body. It consists of approximately 73% water, 20% protein, 6% mineral, and 1% ash. Lean body mass contains virtually all the body’s water, all the metabolically active tissues and bone, and is the source of all metabolic caloric expenditure. Lean body mass is further divided into body cell mass (BCM) and extracellular mass (ECM). Fat mass is all the extractable lipids from adipose and other tissue in the body. It is the total amount of stored lipids (fats) in the body and consists of subcutaneous fat and visceral fat. Subcutaneous fat is located directly beneath the skin and serves as an energy reserve and as insulation against outside cold. Visceral fat is located deeper within the body and serves as an energy reserve and as a cushion between organs. Everyone needs a certain amount of fat in their body. The ideal fat % is dependent on age and gender. This is the number of calories consumed and metabolized at a normal resting state over a 24 hour period. For a typical person, BMR accounts for more than 90% of their total daily expenditure — more than 90% of calories are burned while the person is at rest. The basal metabolic rate is determined by lean body mass since only lean body mass metabolizes. The greater the individual’s lean body mass, the greater the rate of caloric expenditure. 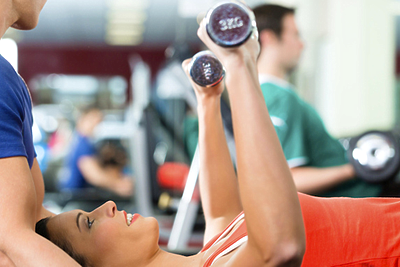 One of the main benefits of exercise is the maintenance of lean body mass. Dieting alone may cause a reduction in lean body mass and can actually reduce the body’s ability to burn calories. 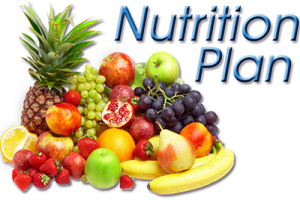 The main principle of weight management is to maintain or increase lean body mass. Since this is not always possible during weight loss, the goal is to minimize reduction of lean body mass. A typical person will experience a loss of 0.45 pounds of lean body mass and 0.55 pounds of fat mass for each pound of weight loss while dieting without exercise. This is a measure of a person ’s weight relative to their height. Please be aware this classification has limitations as it does not take frame size into account. Water is contained in lean body mass. Total body water consists of two compartments — intracellular water (ICW) and extracellular water (ECW). It is the amount of water contained in the body and is a measure for evaluating basic hydration status. This is a measure of the amount of water contained within the cell. Healthy cells maintain their integrity and hold their fluid inside the cell membrane. Water is needed inside the cell to hold in water-soluble nutrients such as vitamins B and C. The optimum amount of water that should be inside the cell differs according to gender and age. As a general rule, 2/3 of your water should be inside the cell. This is a measure of the amount of water outside the cells. This water stores some nutrients and also helps to remove waste from inside the cell. As a general rule, 1/3 of your water should be outside the cell. A low ICW reading may be due to many things including dehydration, nutritional imbalance, hormonal imbalance or toxicity. Talk with a wellness consultant to determine if a naturopathic, nutritional or traditional Chinese medicine consultation would be suitable for you. This is the percentage of lean body mass that is water. Normally about 73% of fat-free mass is water. This is the percentage of total weight that is water. In females, this should be approximately 55% and in males, 60%. A progressive increase in lean body mass, body cell mass, and phase angle are associated with increasing physical performance. 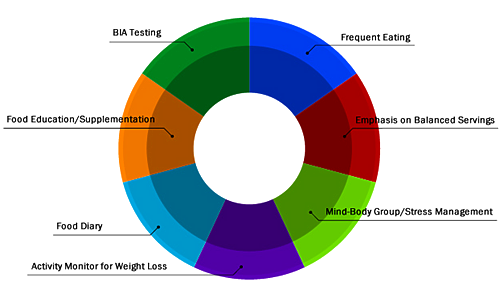 With the use of the BIA to monitor key indicators of health and fitness, healthcare practitioners can develop, monitor and manage diet, nutrition and exercise programs that lead to improved overall physical condition. The use of BIA to evaluate the effectiveness of treatment strategies for various health conditions is widespread. BIA is used in many studies and clinical trials around the world. FSM (Frequency Specific Microcurrent) is a type of physical therapy that uses microcurrent (a measured current in a millionths of an amp) to increase cellular ATP energy production. Microcurrent increases the production of ATP, your own chemical energy, by up to 500%, while reducing inflammation by 62%! In addition, FSM treatments increase protein synthesis and waste product removal, thus facilitating the healing of the injured tissues. “In my 20 years in medicine, I have never experienced any therapy that provides relief and results as quickly as FSM.” – Robert Lerman, M.D., Ph.D.
Our FSM therapist will use black graphite vinyl gloves and wet towels, which conduct frequencies from the machine to particular tissues in the body. Frequencies will be used to deliver current to the muscles, nerves, and other tissues or organs. As the correct frequency is applied, the tissues will soften and become less painful. This softening and pain relief seems to be long lasting and, in many cases, permanent. Although patients have had permanent changes in one treatment, the average number of treatments depends on the complexity of the problem. There is no record of any permanent harm being done to anyone treated with FSM. FSM should not be used during pregnancy or for those who have pacemakers. Please let your therapist know of any known recent injuries. How do the new frequencies work? The frequencies work on the principle of biological resonance. For instance, a singer can shatter a glass when the note resonates with the crystal structure of the glass. Microcurrent frequencies seem to be able to resonate with specific tissue when the frequency is correct. This occurs at the cellular level to increase the energy (ATP) in your tissues. Once the tissue is changed and stable, it seems to be able to stay in the new configuration with proper nutritional support. Animal research confirms that frequency reduces inflammation by 62% without the toxic side effects of prescription drugs. No anti-inflammatory drug ever tested in animal research has produced more than a 45% reduction in swelling. The FirstLine Therapy Program is a professionally supervised, personalized lifestyle modification plan. Designed by healthcare professionals, this program has been shown remarkably successful in helping individuals like you return to a path of extended health. Establish realistic, personalized goals to improve health. Learn how to eat and shop for healthy, nutritious foods that manage (not increase) cravings. Exercise in a way that builds muscle and gets rid of unwanted fat. Relax and manage unhealthy stress. 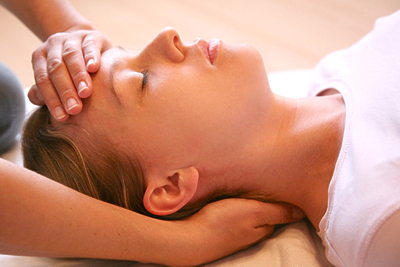 Craniosacral therapy (CST) or cranial-sacral therapy, cranial osteopathy, and cranial therapy are forms of bodywork or alternative therapy using gentle touch to manipulate the syn-arthrodial joints of the cranium. A practitioner of cranial-sacral therapy may also apply light touches to a patient’s spine and pelvis. Practitioners believe that this manipulation regulates the flow of cerebro-spinal fluid and aids in “primary respiration”. The therapist lightly palpates the patient’s body and focuses intently on the communicated movements. A practitioner’s feeling of being in tune with a patient is described as entrainment. Patients often report feelings of deep relaxation during and after the treatment session, and may feel light-headed. While sometimes thought to be caused by an increase in endorphins, research shows the effects may actually be brought about by the endocannabinoid system. We have the leading technology available to help our clients. The Dynatronics Solaris Plus ThermoStim Probe is the first of it’s kind, combining cold or heat with electrical stimulation and soft-tissue mobilization. This allows us to treat a wide variety of conditions, save healing time and enhance patient therapeutic outcomes. The idea behind biofeedback is that by harnessing the power of your mind and becoming aware of what’s going on inside your body, you can gain more control over your health. Researchers aren’t exactly sure how or why biofeedback works. They do know that biofeedback promotes relaxation, which can help relieve a number of conditions that are related to stress. 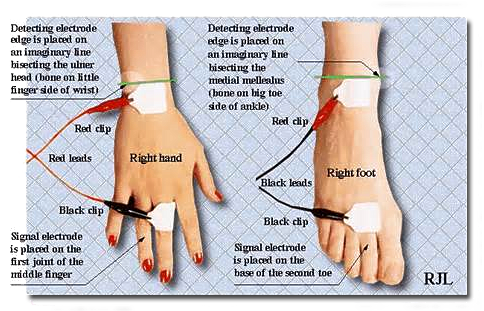 During a biofeedback session, electrodes are attached to your skin. Finger sensors can also be used. These electrodes/sensors send signals to a monitor, which displays a sound, flash of light, or image that represents your heart and breathing rate, blood pressure, skin temperature, sweating or muscle activity. When you’re under stress, these functions change. Your heart rate speeds up, your muscles tighten, your blood pressure rises, you start to sweat and your breathing quickens. You can see these stress responses as they happen on the monitor and then get immediate feedback as you try to stop them. Biofeedback sessions are typically done in a therapist’s office, but there are computer programs that connect the biofeedback sensor to your own computer. A biofeedback therapist helps you practice relaxation exercises, which you fine-tune to control different body functions. For example, you might use a relaxation technique to turn down the brainwaves that activate when you have a headache. Chronic pain. By helping you identify tight muscles and then learn to relax those muscles, biofeedback may help relieve the discomfort of conditions like low back pain, abdominal pain, temporomandibular joint disorders (TMJ) and fibromyalgia. For pain relief, biofeedback can benefit people of all ages, from children to older adults. Headaches. Headaches are one of the best-studied biofeedback uses. Muscle tension and stress can trigger migraines and other types of headaches, and can make headache symptoms worse. There is good evidence that biofeedback therapy can relax muscles and ease stress to reduce both the frequency and severity of headaches. Biofeedback seems to be especially beneficial for headaches when it’s combined with medications. Anxiety. Anxiety relief is one of the most common uses of biofeedback. Biofeedback lets you become more aware of your body’s responses when you’re stressed and anxious. Then you can learn how to control those responses. We can design a Plan of Care just for you. Dan Prater, ND, has a wealth of experience as well as diagnostic techniques and equipment available to address the issues that are causing you problems. If you’re a new patient and interested, take advantage of the Free Initial Phone or Email Consultation. Why Wait? Contact Us today on 219.613.1161! Are you looking to improve your nutritional habits? Let us help! We will help you assess your diet, set nutritional goals and implement a plan to achieve optimal weight and health. Whether it’s losing weight or just improving your overall eating habits, we can assist you in reaching your goals. As a Certified Fitness Trainer, avid practitioner, and Full Instructor in the martial arts (JKD concepts, Filipino- Indonesian-Thai-and Chinese Arts, and Jiu Jitsu) for the past 15 years I have developed a highly effective program for training my clients! Are you ready to get going on a major lifestyle change — I can take you to your next level of fitness success! Your appointment includes customized training sessions at the health club or gym designed to meet your personal goal(s)! Homeopathy is a safe, gentle & natural system of healing that works with your body to relieve symptoms, restore itself and improve your overall health. It is extremely safe to use, even with very small children and pets, has none of the side effects of many traditional medications, is very affordable, is made from natural substances and is FDA regulated. It is used to treat acute illnesses, like colds, ear infections, migraines and sore throats, as well as chronic conditions, like asthma, depression, autism and arthritis. Homeopathic medicines – known as “remedies” – are made from natural sources (e.g., plants, minerals), and are environmentally friendly and cruelty free. Most are available over the counter in grocery stores, drug stores, health food stores, homeopathic pharmacies and online. They are also extremely affordable. Homeopathic remedies when used as directed, are completely safe for everyone – including pregnant and nursing women, infants, children and adults. They are given in such small doses that they don’t cause side effects. One thing to note is that the word homeopathy is not a general or “umbrella” term that describes a variety of different natural therapies. 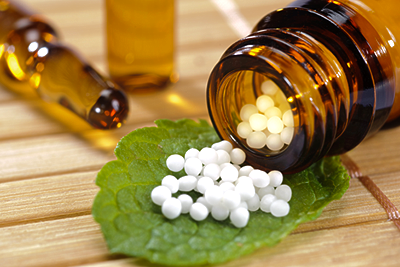 Although homeopathic remedies are derived from natural substances, homeopathy should not be confused with herbal medicine, Chinese medicine or other types of natural medicines. It is its own, unique therapeutic system. This perspective is applied to everything affecting our health and wellbeing; from our diet, exercise and how we handle stress; to how we interact with our family and friends, our community, and our environment. Thus TCM not only identifies and treats illness and prevents disease but, just as importantly, optimizes health, wellbeing and sustainability in our lives and in our world. In recent years, the healing properties of natural herbs have received wide public attention and medical validation in the West. In China, on the other hand, the therapeutic powers of herbal remedies have been universally accepted and applied for thousands of years. 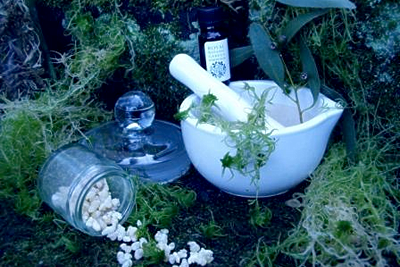 Medicinal herbology has been developed and refined by Chinese doctors over many centuries. 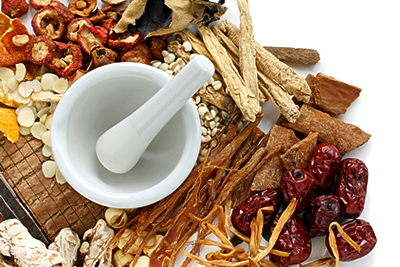 Chinese Herbs and Acupuncture comprise the two pillars of Chinese Medicine and naturally complement each other. However, the practice of Chinese Herbology is a healing system complete within itself. Chinese Herbology can also be used effectively with Western medical practices, both conventional and alternative. Chinese Medicine involves thinking about health and disease in ways that are unfamiliar to our common medical understanding. Unlike conventional Western medical practice which typically treats symptoms without addressing underlying causes, Chinese Medicine uses sophisticated assessment techniques to understand the deeper levels of systemic imbalance that create the symptoms. The goal of treatment is to bring the entire organism back into harmony. Contact us via email or by phone on 219.613.1161 to learn how we can work together to achieve optimum health for you! Our one-on-one therapy sessions are hands-on treatments during which our therapists use a multitude of Myofascial Release techniques and movement therapy. We promote independence through education in proper body mechanics and movement, self treatment instruction, enhancement of strength, improved flexibility and postural and movement awareness. Manual therapy is a general term under which many specific hands-on techniques reside and is effective in helping many ailments with a soothing and natural modality. Here at 21st Century Total Wellness, we combine the best of hands-on, manual therapy techniques with functional strength and stability critical for not only reducing pain, but restoring your body to healthy and efficient movement patterns. Kinesiology is the science of human movement and involves the study of human movement; bringing together a number of different fields, including physiology, neuroscience, fitness and exercise science. Kinesiologists explore how people of different ages and fitness levels use their motor skills. Kinesiology knowledge can be applied to everything from sports management and fitness to physical education and rehabilitation programs for people with diseases, disabilities or injuries. WHY WOULD YOU WORK WITH THIS TECHNOLOGY? I work with FSM because it brings relief to so many clients for so many conditions. It is low risk, non-invasive and incredibly effective. WHAT IS THE DIFFERENCE BETWEEN MICROCURRENT AND ULTRA SOUND? 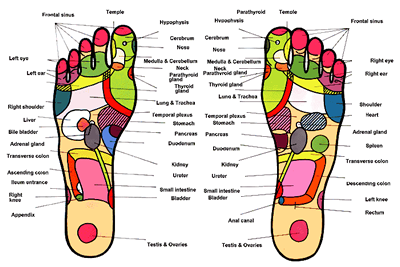 Ultra sound creates ultrasonic vibrations and creates heat by vibrating the water molecules in the tissue. It does not provide current nor does it change ATP status. It provides beneficial results by these mechanisms but it is just completely different than micro current. WHAT IS THE DIFFERENCE BETWEEN MICROCURRENT AND TENS? Micro current is approved in the category of TENS devices by the FDA. TENS devices deliver milliamp current and block pain messages that are trying to get up the spine to the brain. Micro current delivers sub sensory micro amperage current, 1000 times less than milli-amperage current, which has been shown in published studies to increase ATP production in tissues. WHAT IS THE DIFFERENCE BETWEEN THE MICROCURRENT AND A LASER? Micro current provides electrons and in published studies increases ATP production in cells. Lasers provide photons. Lasers oscillate at set frequencies and provide beneficial results but usually only provide one frequency at a time instead of the dual frequencies used in FSM treatment. Lasers provide whatever benefits they provide by some other method than frequency specific resonance and ATP enhancement. IS THERE ANYONE WHO DOES NOT BENEFIT FROM FSM? Clients who are dehydrated cannot benefit from FSM. It has been observed that clients who are dehydrated. Athletes with large muscle mass and inadequate water intake and clients over 70 who are chronically dehydrated have the most problems. Every client is advised to drink at least one quart of water in the one hour preceding treatment. Clients who are chronically dehydrated may need more water over several days prior to their treatments. No technique is 100% effective and FSM is no exception. The effectiveness of FSM depends almost entirely on an accurate diagnosis. Shoulder pain can come from muscles, tendons, bursa, discs, nerves or joints. FSM will treat all of these pain generators effectively. But, if you are treating for muscle and the shoulder pain is from nerves or the bursa you may change the muscle but you won’t change the patient’s pain since it is not coming from the muscle. This analogy applies to every condition. FSM should not be used on clients known to be pregnant. No problems have ever been observed in a client treated who was found later to have been pregnant at the time of treatment so the recommendation is based on prudence rather than negative experience. The dramatic reductions in cytokines and prostaglandins seen with use of certain frequencies may have an unpredictable effect on the prostaglandins required to maintain a pregnancy. The dramatic order of magnitude changes in neuropeptides seen in the treatment of fibromyalgia from spine trauma may have an unintended effect on a developing fetal nervous system once the fetal nervous system is developed beyond 8 weeks, the time at which most women know they are pregnant. WHO CAN TAKE THE TRAINING AND USE FSM ON PATIENTS? Anyone who has enough medical background to understand and benefit from the course can attend. In order to practice FSM and purchase and use the equipment, they must have a license that allows them to use electrical stimulation or does not restrict them from using electrical stimulation on patients or must work for someone who has such a license. The course is geared toward medical, chiropractic, osteopathic and naturopathic physicians, acupuncturists and physical therapists and the assistants who function in all of these clinical settings. The frequency thought to “reduce inflammation in the immune system” was studied in an animal research laboratory at University of Sydney in Australia by Dr. Vivienne Reeve. Arachidonic acid was painted on the ears of hairless mice. Arachidonic acid causes inflammation mediated by lipoxygenase prostaglandin pathways and causes swelling. This animal model is an accepted way to study inflammation and has been used to study virtually every anti-inflammatory drug or therapy. The frequency combination reduced swelling by 62% in four minutes in every animal tested with everyone in the lab blinded and as tested against a placebo frequency. Prescription and non-prescription drugs tested in this animal model reduced swelling by 45%. Placebo frequency had no effect on swelling. None of the three other frequency combinations tested in this animal model reduced inflammation at all. The frequency response was time-dependent. 50% of the effect was present at 2 minutes, 100% of the effect was present at 4 minutes and further time spent on the frequency had no additional effect. This is the only frequency combination that has been studied in an animal model but the effects and the implications are important. In an additional animal trial, myristeal stearate was painted on the mouse’s ears creating inflammation and swelling in a COX (cyclooxygenase) mediated inflammatory pathway. The frequency to “reduce inflammation in the skin” had no effect on swelling at all. It was equivalent to placebo. The frequency combination thought to “reduce inflammation in the immune system” reduced COX mediated inflammation by 30% in a four-minute time-dependent response as compared to placebo. This reduction in swelling is equivalent to that created by the prescription injectable drug Toridol when it was tested in this animal model. Sunburn creates swelling and inflammation. The mice were exposed to UV light sufficient to create sunburn and swelling. One group was not treated, one group was treated immediately and one group was treated at 2 hours after exposure. The untreated group had the expected swelling. The group treated immediately had a slight but not statistically significant reduction in swelling when measured at 21, 23, 25 and 27 hours after exposure. The group treated at 2 hours had a statistically significant reduction in swelling (p>.01). One way of measuring immune system response is to expose it to a chemical to which it should normally develop an allergic reaction and then treat the system in some way and see if the immune response upon re-exposure is the same or different after the intervention. Sunburn suppresses immune system allergy responses. Mice exposed to a sensitizing chemical, oxazalone, normally swell by 30 units of measurement when re-exposed to the chemical two weeks after the first application. Mice that are sunburned but not treated swell only 11 units indicating an immune response suppression of 63.4%. Mice that were treated with FSM at 2 hours, with the best reduction in sunburn swelling, had 13 units of swelling upon second exposure to oxazalone indicating immune suppression of 57.48%. Mice that were treated immediately with FSM, who had only a slight reduction in burn swelling, had 21 units of swelling when re-exposed to oxazalone two weeks after the burn and FSM treatment. This represents a reduction of immune system suppression from 63.4% to 31.05%. Of all of the FSM human and animal data this is the most impressive and fascinating. A single four minute exposure to a frequency combination caused a permanent change in immune system function as measured two weeks after the treatment. This experiment has not been repeated but Dr. Reeve is the top in her field and certifies that the research was carried out to the highest laboratory standards of animal testing. WHAT IS A FREQUENCY PROTOCOL? WHAT DOES A FREQUENCY PROTOCOL DO? Frequency protocols are sequences of frequencies observed to have a certain clinical effect in various conditions as determined in Dr. McMakin’s practice and by input from other FSM practitioners. For example the question, “Does this frequency combination reduce inflammation in the liver?” the only truly honest answer is, “That has not been determined with certainty.” It can only be said that when these particular frequency combinations are applied to the right upper quadrant of the abdomen for a period of 30 to 60 minutes the liver becomes non-tender instead of tender and seriously elevated liver enzymes have been reduced into the normal range within hours instead of days or weeks. This phenomenon has been observed in multiple patients, treated by different physicians in different areas. It is now thought to be reproducible as demonstrated by objective measurement of liver enzymes. WHAT CAN THE FREQUENCIES TREAT? The frequencies appear to change a variety of conditions and tissues and change pain and function in a large number of clinical conditions. FSM is especially effective at treating nerve and muscle pain, inflammation and scar tissue. There is a kind of fibromyalgia associated with spine trauma that is particularly painful and difficult to treat even with narcotics. There is one frequency combination, and only one frequency combination, that has been observed to eliminate pain in patients with this condition. Shingles responds very well to only one frequency combination that eliminates the pain in 20 minutes and causes the lesions to dry up and disappear in approximately two to three days. There is one frequency combination that so far has been 100% effective in eliminating kidney stone pain. This frequency combination does nothing to remove the stone; it only eliminates the pain. The frequencies have created observed effects in asthma, liver dysfunction (reducing elevated liver enzymes), irritable bowel and many other conditions. It has been observed that clients who are treated within four hours of a new injury including auto accidents and surgeries have much reduced pain and a greatly accelerated healing process. Frequency Specific Seminars makes no claims about the use of frequencies in the diagnosis and treatment of any condition. The frequencies appear to have beneficial affects when used in a clinical setting as an adjunct to appropriate medical diagnosis and treatment. It is NOT recommended that the frequencies be used to treat cancer. The condition is too serious and too complicated to be addressed with this technique. Dr. Arlene Lennox of Fermi Labs in Chicago published a paper showing that patients treated for scar tissue following neutron therapy for cancer that still had active tumor during the micro current treatment with Acuscope device had no increase in tumor growth and actually tolerated radiation therapy with fewer side effects. There can be no claims made for the diagnosis or treatment of any medical condition using frequencies. Science is a method of study not a body of information or a viewpoint. In any scientific endeavor an objective trained observer can make observations of effects. All science starts with observation of a phenomenon and then asks whether the phenomena can be measured and whether it is reproducible and predictable. The scientific method finally sets out to measure and observe the phenomena in a controlled fashion eliminating every other possibility for the observed effect besides the hypothesized mechanism being studied. The phenomena are physical changes in biological tissue observed to occur only in response to certain specific frequency combinations applied with a micro current device delivering square wave pulses on two channels simultaneously. There are certain frequencies that produce effects that can be objectively measured, that are reproducible by any trained practitioner treating the same condition in a hydrated patient and that are predictable. Controlled trials are planned to finally confirm the frequency specific response. WHAT CAN THESE MACHINES TREAT? The current can increase ATP production as shown in the peer reviewed article published by Ngok Cheng in 1982. WHAT ARE FREQUENCIES? AND HOW ARE THEY USED IN FSM? Frequencies are pulses per second measured in hertz. They can be sound waves or electronic pulses. The frequencies used in FSM are electromagnetic pulses used on two channels firing at the same time. The frequencies are delivered using a ramped square wave that includes high frequency harmonics to create the square wave. The makes the frequencies more accurately pulses rather than the pure frequencies achieved with a sine wave generator. Most micro current devices use square wave pulses because they have been observed to be more effective clinically. The frequency thought to address or neutralize the condition is put on channel A. The frequency thought to address the tissue is put on channel B. The frequencies used in FSM are all less than 1000 Hz. There are frequencies from the list alleged to address over 200 conditions from very common conditions like “inflammation”, “scar tissue”, “mineral deposits” and “toxicity” to very unusual and hard to document conditions like “polio virus”, “trauma” and congestion. There can be no claims made for the effects of the frequencies until research has documented their effects. All that can be said is that use of this or that frequency had this observed effect in this client with a certain condition. There are a few frequencies that are used as A/B pairs. A is not a condition, B is not a tissue but the combination of the two frequencies appears to have a therapeutic effect. There is one such frequency combination that takes away shingles pain. When this combination is used before the blisters break out for an hour a day for three days the pain is gone in 20 minutes and the blisters never break out. When this combination is used for two hours on active shingles, after the blisters appear, it eliminates the pain and shortens the course from the normal 6 weeks to four to five days. The pain never returns. Shingles is the only thing this frequency combination is good for and, so far, there has not been a client who did not respond in an expected way. Dr. McMakin didn’t develop the frequencies. The frequencies were developed between 1910 and 1934 by medical and osteopathic physicians using an entirely different machine and system of treatment. The frequencies are used clinically; the effects are documented in chart notes and serve as a basis for the development of protocols that appear to be effective for different clinical conditions. There are four peer-reviewed published papers documenting the effects in the treatment of myofascial pain from trigger points, neuropathic pain from fibromyalgia associated with spine trauma and delayed onset muscle soreness. In the early 1900’s, before 1934, medical physicians and osteopaths were using electromagnetic therapy devices and frequencies to treat patients. The equipment delivered frequencies on either one or two channels. When two channels were used one channel delivered a frequency thought to address a specific tissue; and the other channel delivered one that was thought to neutralize a specific condition or pathology. There were thousands of physicians using these therapies to treat patients and doing research and sharing the effects of frequencies in articles and books. The Electro medical Society and its journal, Electro medical Digest were founded by Dr. Albert Abrams a medical physician in San Francisco. The equipment used in the 1920’s was not battery operated DC micro current. The old devices plugged into the wall and used wall current which at that time was more likely to be direct current than AC. AC current did not come into universal use until a number of years later. In 1934, the American Medical Association in the person of Maurice Fishbein declared that electromagnetic therapies were “unscientific” and that drugs and surgery were the future of medicine and that any physician who used electromagnetic therapies would lose their license to practice medicine, which at that time was granted by the AMA not the government. Electromagnetic treatments and research gradually declined. The equipment stopped being manufactured and by the mid-1950’s was removed from the market by the FDA. The frequencies were still available in books and articles and in the manuals that came with the old devices. In 1994, Carolyn McMakin, DC began using frequencies obtained from Dr. Harry Van Gelder, a retired osteopath on her family and on volunteer patients and friends. Once it was determined that a frequency producing no benefit also produced no harm, they were used on Dr. McMakin’s chiropractic patients to see if any positive effects could be observed. The results were immediate and fascinating. The frequencies appeared to do exactly what they were alleged to do as described on the list. The frequency said to “decrease inflammation”, reduced redness and swelling but had no other effect. The frequency to “reduce scar tissue” increased range of motion and softened tissue but had no effect on inflammation, redness or swelling. The frequency to stop bleeding reduced bleeding in the menses and reduced or eliminated bruising if used immediately after an injury or surgery but had no effect on inflammation, scar tissue or range of motion. Eventually frequencies were added from the writings of Dr. Albert Abrams and from a list obtained from Dr. McWilliams. After treating patients and observing these effects for over a year Dr. McMakin first taught the technique in January 1997 to determine whether the effects were reproducible. Did the technique actually have a real effect or was this some apparent effect produced by the patient’s mind or reaction to something else in the clinic environment? By June of 1997 it was apparent that students were achieving the same results as Dr. McMakin especially in the treatment of myofascial pain from trigger points. In 1998, frequency combinations were first used to successfully treat nerve pain such as sciatica caused by disc injuries. Only one frequency combination was effective in reducing nerve pain. In 1999 one frequency combination was found to eliminate the full body pain associated with fibromyalgia caused by spine trauma. Those cases were published in 2005 in a peer-reviewed article titled, “Cytokine changes in fibromyalgia associated with cervical trauma”. Classes continue to be taught around the US and in Ireland so that practitioners can bring these effects and the relief they create to patients. In 1982 Ngok Cheng published, “The Effect of Electric Currents on ATP Generation, Protein Synthesis and Membrane Transport in Rat Skin in Clinical Orthopedics” (volume 171: pages 264-272). This study showed that micro current increased ATP production in rat skin by 500%. ATP is the chemical that the body uses for energy. The current also increased amino acid transport into the cell by 70% and waste product removal. The implications for human healing and repair are obvious. ATP production was increased as long as the current was below 500 micro amps. When the authors increased the current to 1000 micro amps, or one milliamp, a current range delivered by TENS devices and other types of electrical stimulation therapies, the ATP production was actually reduced. The Precision Micro current machine has a 510K certificate from the FDA meaning that it is approved for sale. All class II micro current devices will have a 510k certificate allowing them to be marketed to physicians. The FDA does not approve devices for sale the way it approves drugs for sale. The 510K just means that it can be used in a medical setting and is substantially equivalent to other devices that have been marketed before it. Micro current devices deliver micro amperage current not milli- amperage current but the warnings for the device are same because all micro current devices are approved in the category of TENS devices. The FDA regulates claims that can be made about therapies, drugs and devices. The claims made for the device can only be those claims that could be made for any device approved in that class of devices and what has been published in a peer reviewed journal regarding its use. Micro current was first used in the 1980s by physicians in Europe and the US for stimulating bone repair in non-union fractures. There are numerous studies published on the effects of single channel micro current showing that it increases the rate of healing in wounds and fractures. There is one study showing that micro amperage current between 10 and 500 micro amps increases ATP (cellular energy) production by 500% in rat skin. Current levels between 500 and 1000 micro amps caused energy production to level off. Current levels above 1000 micro amps caused ATP production to decline. There are a number of devices on the market that can deliver micro amperage current. All of the research and papers published on Frequency Specific Micro current (FSM) have been done using a device manufactured by Precision Micro current Inc. But any micro current device with two independent channels that provide three-digit specific frequencies such as 284 Hz (rather than 280 Hz) on each channel, using a ramped square wave and either polarized or alternating DC current can be used. Frequency Specific Micro current (FSM) seminars teach frequency protocols and discuss the effects of frequencies and biological resonance on physical tissue based on clinical observations and research. FSM seminars are NOT about the use of micro current or micro current devices. FSM does not sell or promote devices. FSM teaches the principles and use of biologic resonance and frequencies. Micro current is current in millionths of an ampere. An ampere is a measure of the movement of electrons past a point. Micro amperage current is the same kind of current your body produces on its own within each cell. This is current in millionths of an amp. It is very small; there is not enough current to stimulate sensory nerves so the current flow cannot be felt. You can tell it is running by watching the conductance meter on the machine. 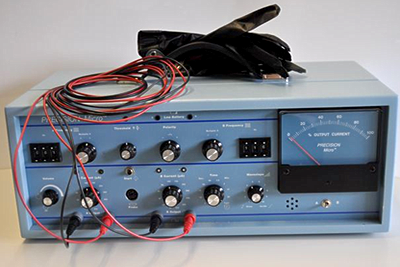 Frequency Specific Micro current is a new system of treatment using micro amperage current and the resonance effects of frequencies on tissues and conditions to create beneficial changes in symptoms and health. 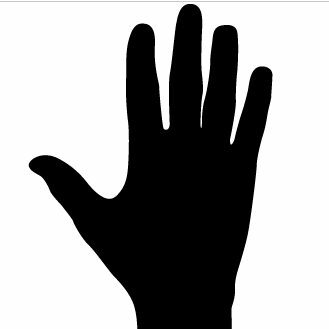 ⦁ The finger holds are very helpful for young children who are crying or having a tantrum, or can be used with people who are very fearful, anxious, sick or dying. NEW PROMOTIONAL COMING TO CEDAR LAKE SUMMER OF 2017! G R E AT F O R T H E H E A R T (Prevents & Reverses Heart Disease) Nitric Oxide soothes and relaxes arteries, thereby helping to maintain the normalizing of blood pressure and improving heart functions. This more efficiently manages the beating of the heart, triggering the heart to more efficiently beat faster or slower. The result is the process known as the endothelium-dependent relaxing factor. The Super Sauna is the most powerful generator, stimulator and producer of Nitric Oxide in the body in the world. Due to the fact that the Super Sauna opens up all the capillaries of the blood system throughout the body and up-regulates the natural production of Nitric Oxide, this increases the production and distribution of oxygen in the blood to all tissues which relaxes and improves efficient function of the Heart. CHOLESTEROL MANAGEMENT Nitric Oxide has been scientifically identified as a miracle molecule that is composed of one atom of nitrogen and one atom of oxygen that sends signals to dilate your blood vessels. It is beneficial to normalize blood pressure, prevent artery hardening, and improve blood flow to all critical organs. Nitric Oxide is naturally produced in the endothelium (the lining of your blood vessels). It produces a free-radical scavenger that helps to lower serum cholesterol and inhibit “bad” LDL cholesterol and prevent it from oxidizing and becoming unhealthier. NERVE CELLS & BRAIN COMMUNICATION (Super Sauna’s Production of NO Improves Memory Function) Nitric Oxide produces a “messenger molecule” permitting nerve cells and the brain to communicate more efficiently with each other. This molecule is used by the brain to program long-term memory and ensure adequate blood flow to more brain cells. HUMAN GROWTH HORMONE (Super Sauna use Increases Natural Muscle Development) Nitric Oxide stimulates the body into releasing the all-important human growth hormone, a primary key to longevity as well as improvement in overall body composition by improving lean muscle mass and enhancing bone density while decreasing the buildup of fat tissues. VITAL ROLE IN THE SKIN “Over the last 10 years, it has become clear that this extraordinary molecular messenger also plays a vital role in the skin, orchestrating normal regulatory processes and undoing some of the pathophysiological ones. IMPROVE DIGESTION & ENHANCE INTESTINAL FUNCTIONS Nitric Oxide helps normalize healthy intestinal functions, digestion, and metabolism. The stomach needs blood and oxygen to properly digest food and make nutrients available for assimilation. It’s not hard to see how Nitric Oxide, with its ability to increase circulation and improve delivery of oxygen, would be critical to more efficient digestion. Gastrointestinal functions are regulated by autonomic (involuntary) and enteric (voluntary) nerves. Nitric Oxide plays a critical role in several of these major gastrointestinal functions like motility, secretion, digestion, assimilation, absorption, and elimination. REGULATE BLOOD SUGARS (Super Sauna use can normalize and balance blood sugar levels) The Super Sauna’s production of Nitric Oxide in the body helps regulate insulin secretion by the pancreas, reducing the risk of diabetes and reversing the processes that caused it. Diabetes accelerates hardening of the arteries. Using the “Super Sauna” for increased Nitric Oxide manages the insulin that regulates blood sugar and reduces Lipid peroxidation. Review the Super Sauna Photon Genius at: http://www.supersauna.com/ https://youtu.be/tdWTrXcBgn4. Schedule now & secure your discounted appointments for this revolutionary technology, limited scheduling available! E-mail dp@21ctw.com or text 219-613-1161 > I want to schedule for SSPG 2017 discounted!